En suveränt god och riktigt prisvärd rom. Det är svårt att ta bara lite av den här. I'm just putting together this review in order to add some balance to the current rate of this rum, which is absolutely misleading in my opinion. Such a pompous, heavy bottle. It's all about presentation here, and while the wrapping can be important, any excessive effort in this matter should be taken as a warning. In this case, the quality of the content, of the the rum itself, is the price to be paid for all those unnecessary but costly presentation elements. 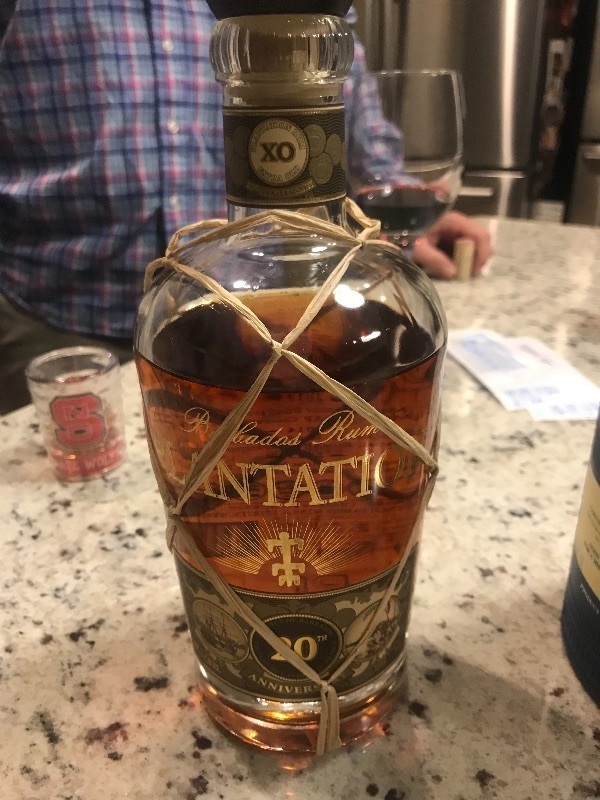 Besides the high rates and appreciation for Plantation XO 20th Anniversary rum around here, I would never expect such a low grade product in this price range. At first taste, a disgusting mix of artificial flavours and sweeteners kicks in, fading to a harsh experience that makes one wonder about the real age of the rums involved in the blend. As they say, the proof is in the pudding, and the almost complete absence of smell in the glass once the drink is finished seems like a clear telltale sign in this sense. Absolutely my favorite rum. Smooth flavor with that hint of sweetness that you look for in a good rum. I didn't give it a 10 simply because I want to give myself room for rating when I can afford to buy 3 figure bottles of rum. der abgang ist leider ein wenig flach..
I’m a fan. Smooth without the heat. Maybe a little sweet but I like that. Nice and smooth. Definetely would recommend this one. This one is one of my favorites! Great sipping rum that has a very complex and nicely balanced taste. Very pleasant to the nose with sweet vanilla, caramel and a nice balace of alcohol. Tastes very lean and pleasant. Sweet but with a dark taste in the bottom. You'd think this was a $100 plus bottle of rum with it's incredible smoothness and taste. Great flavor with a hint of vanilla and apricot. Excellent on the rocks or neat. Don't waste it with mix. Nasládlá chuť a příjemná vůně tohoto rumu mi vyhovuje. Compared to other ”younger” Plantation rums you really can experience the difference between them and an XO. Plantation XO is one of my favorite rums. Strong alcohol aftertaste. I was really not expecting it in an expensive rum. Added sugar as well. Not worth the price. An excellent sipper, even competes with the likes of an El Dorado 21 in my book. Not overly sweet, and gives a nice hint of caramel on the aftertaste. One of my favorites for sure, and grateful for its easy availability in my area. It's guilt-free sipping! C'est un de mes préférés.. Il a tout ce qu'il faut dans son panel d'arômes. En bouche c'est une explosion de saveurs auquel rien ne dépasse où biaise le gout. Nice sweet summer rum, light and pleasant, but a little bit too sweet as for me. Nice notes of coconut and tropical fruits beautifully combined with gentle oakiness. A good sipping choice. Had high hopes for this one but came away slightly disappointed. After a little time in the glass, it opened up nicely and offered a nice flavor profile. Still had just a bit too much rough edge to it to get me seeking it out regularly. Definitely an interesting, flavorful option...just think it could have been more. I love this, drink neat or with ice. Only misses the final touch to be a 10/10. Great taste, sweet coconuty taste. Perhaps a new favourite rum! Absolutely fantastic sipping rum with a nice smooth body and taste. Incredibly smooth, just the right amount of sweetness, & vanilla tones. Bottle is a beauty on the shelf.